light weight and superior protection. Keeping your head cool and dry is essential for maintaining performance at the highest levels. Thanks to the shape and the positioning of the external air openings and the unique air channels inside the cap, our helmets are perfectly ventilated and very comfortable. The air vents have been designed to permit maximum dispersion of heat, ensuring your performance does not drop as a result of the heat, and effective evaporation of sweat. 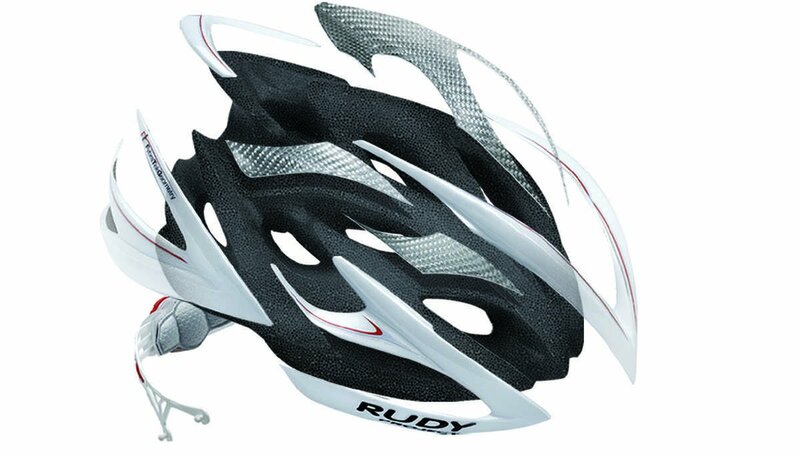 One of the key quality elements of the Rudy Project helmet is its extraordinary head fit comfort. Most of our helmets are loaded with 2 interchangeable and washable paddings that are designed and positioned inside the shell to improve fit, ventilation and protection. Sensitive HC bugstop. 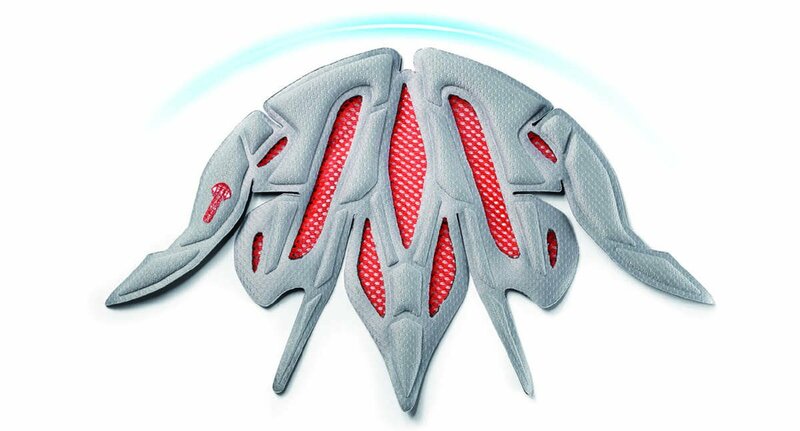 High coverage internal padding made of new antiperspiration fabric for amazing comfort and fit. 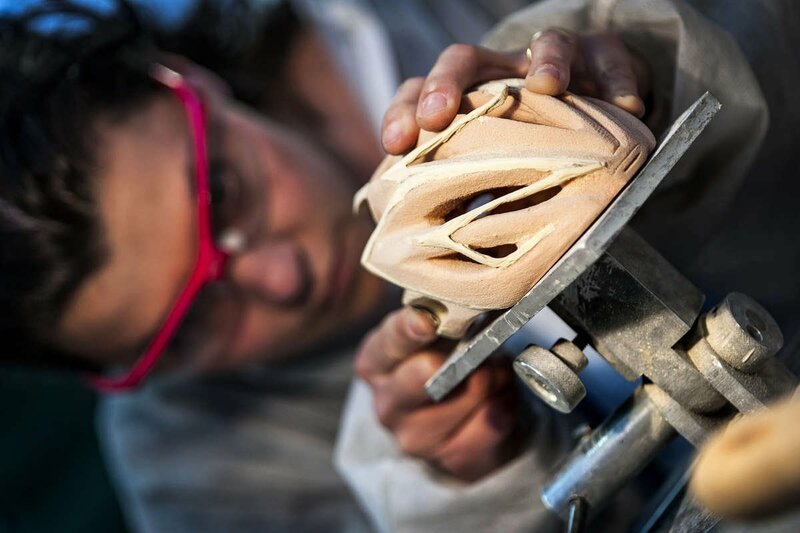 The primary objective of Rudy Project is to reduce the consequences of accidents to a minimum. For this reason, the In-Mold technology allows us to cast the external polycarbonate cap directly during the injection stage of the expandable polystyrene (EPS), thereby making it possible to create a much more rigid structure which is knock-resistant and extremely light. The combined action of the EPS structure, the polycarbonate cap and exo-skeleton creates resistance to the mechanical action exercised by an impact and dissipates the energy in order to prevent it from being transferred to the head of the person wearing the helmet. On-going studies with athletes are helping us in our search for the perfect fir. Our legendary fit is a result of scientific studies on the human head, design innovation, advanced materials and manufacturing techniques. our innovative R.S.R. DISC system is constantly updated and evolving to improve stability and performance. Precise micrometric regulation and height adjustment provide a perfect, personal fit and excellent stability. Easily adjusted even while wearing the helmet. Falls can prove to be very costly and have permanent consequences. 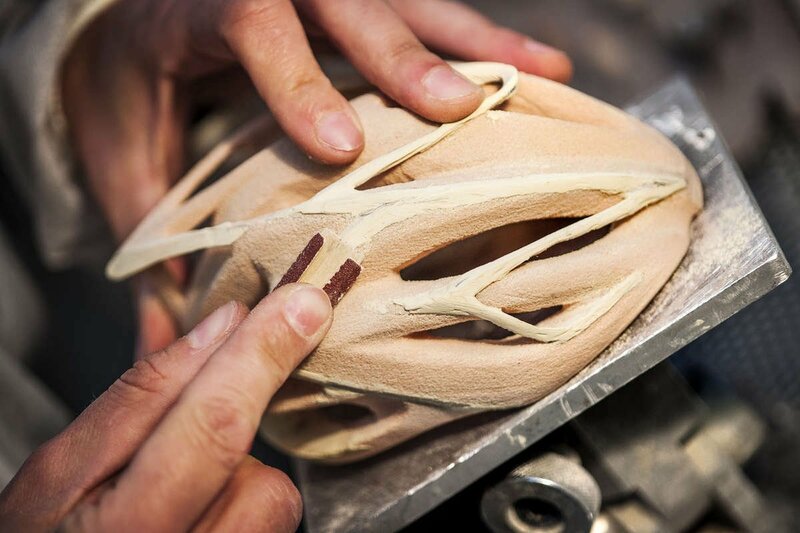 The starting point for the development of Rudy Project's cycling and mountain bike helmets is the adoption of excellent quality materials which guarantee safety and reliability. 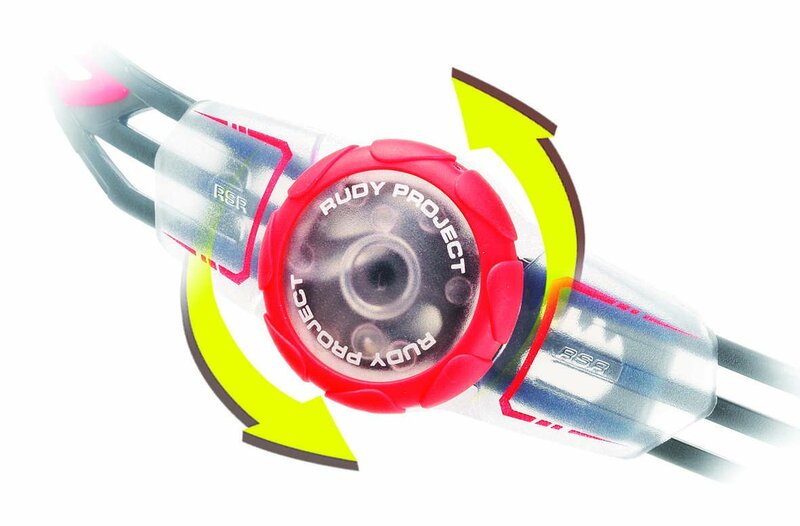 This is why Rudy Project undertakes to use only highly-advanced materials which can absorb shocks and dissipate the mechanical energy without it being transferred to the head and body. The structure of our helmets combines expanded polystyrene (EPS), a material which can disperse the force caused by an impact through a plastic deformation and polycarbonate shell for increased durability and protection.